seconds Your basket will be cleared shortly due to inactivity. If you are still checking your booking details, you may extend your session for another 20 minutes by clicking the button below. The perfect solution if you don't know what to get your rail enthusiast! Our Gift Cards can be used for payment towards all sorts of things on the North Yorkshire Moors Railway - from gifts in the Station Shops, to tickets from the Booking Office, or advance bookings for our luxurious Dining Trains, Footplate Experiences, Special Events and holiday accommodation in the beautiful countryside of the North York Moors. This is a credit card style voucher and comes complete in a gift card wallet. Any multiple voucher orders will be added onto one single reusable card, unless otherwise requested. Valid for 24 months from date of issue. 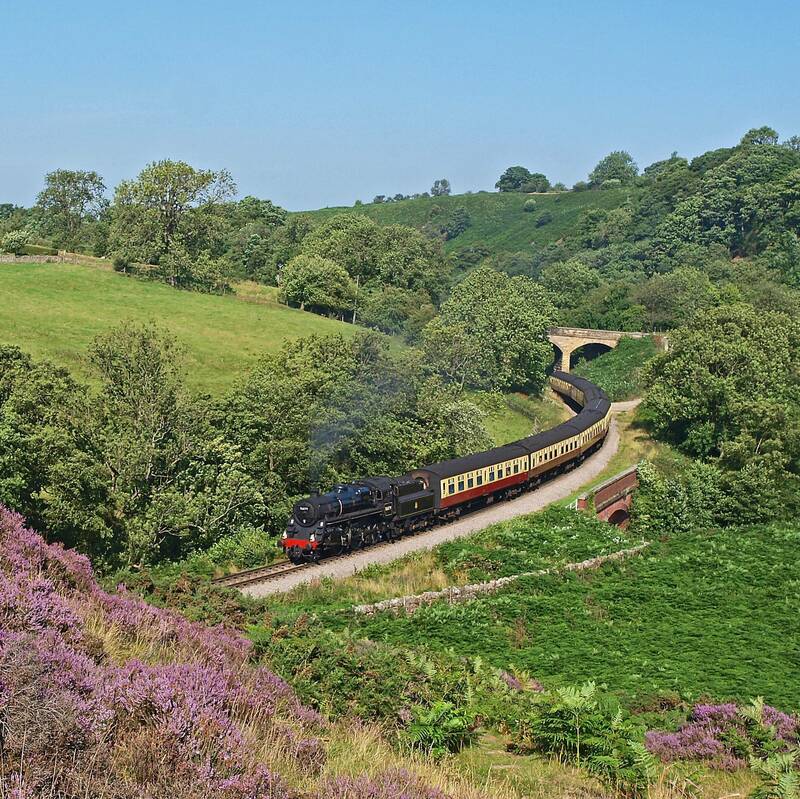 Our Gift Cards can be used for payment towards all sorts of things on the North Yorkshire Moors Railway - this value is perfect for the Steam Footplate Experience. This is a credit card style voucher and comes complete in a gift card wallet. Valid for 24 months from date of issue. The perfect solution if you don't know what to get your rail enthusiast! Our Gift Cards can be used for payment towards all sorts of things on the North Yorkshire Moors Railway - from gifts in the Station Shops, to tickets from the Booking Office, or advance bookings for our luxurious Dining Trains, Footplate Experiences, Special Events and holiday accommodation in the beautiful countryside of the North York Moors. This is a credit card style voucher and comes complete in a gift card wallet with NYMR leaflets provided. Any multiple voucher orders will be added onto one single reusable card, unless otherwise requested. Valid for 24 months from date of issue. Our Gift Cards can be used for payment towards all sorts of things on the North Yorkshire Moors Railway - this amount is perfect for a luxurious evening meal on our Pullman Dining Service. This is a credit card style voucher and comes complete in a gift card wallet. Any multiple voucher orders will be added onto one single reusable card, unless otherwise requested. Valid for 24 months from date of issue. Thank you to all our passengers that travelled in 2016 and we hope to see you again soon. Your visit to the railway will enable critical maintenance work this winter, helping us preserve one of the world's greatest railway experiences. Travel Update: We are currently closed until February half term - 18 to 26 February. Click for info.